Welcome back! 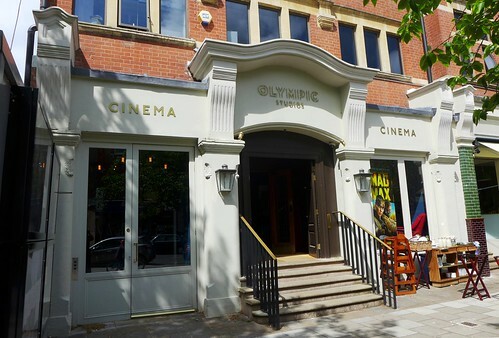 This week's featured article is boutique cinema Olympic Studios in leafy Barnes. 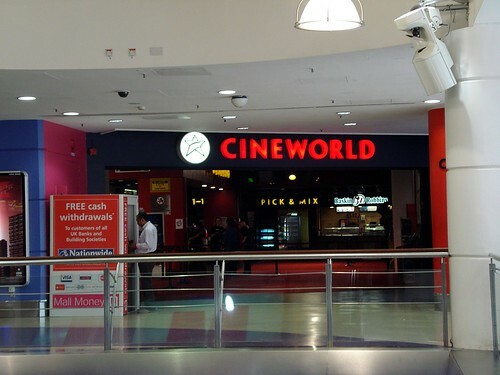 It's quite pricy, and the snacks are all artisanal, but it's very comfortable in the Everyman Cinemas sort of way. 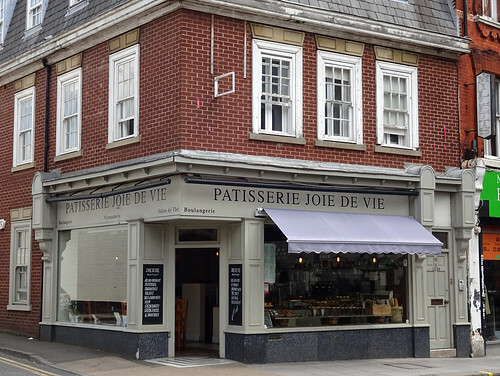 There's also a cafe attached, but I didn't visit that. 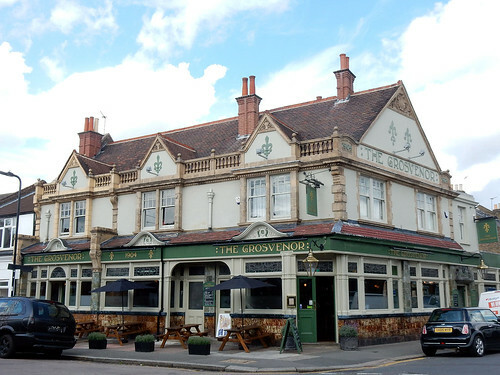 We've got an update to Three Compasses pub in Hornsey, where Kake enjoyed a selection of brown bitters and the company of half a dozen people on a Friday afternoon. 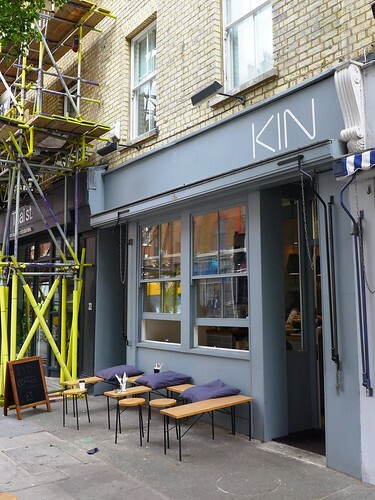 Finally, the reported closure last month of Fino "tapas bar" in Fitzrovia. 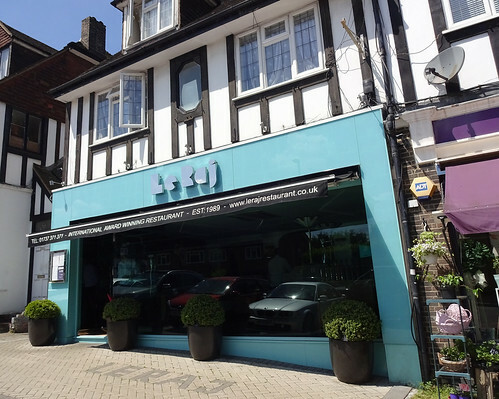 According to the news article announcing this, the owners believe London dining preferences have moved on to a more informal style of eating (i.e. like actual tapas bars). This week's featured article is for Ethos, a vegetarian eatery in Fitzrovia. It's a self-service buffet set-up, with everything clearly labelled for those with dietary requirements. The food is good quality but apparently the buffet can get a little low-stocked during mid-afternoon, so you may want to stick to lunch and dinner times. 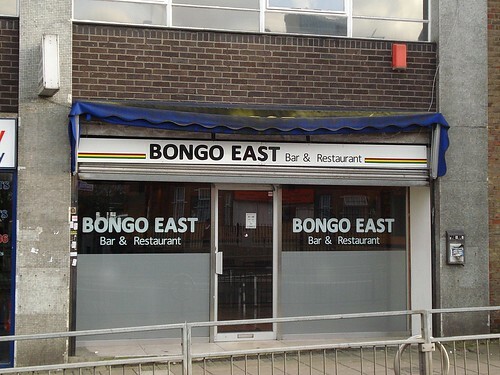 We've got a couple of closures to report: visitors expecting some Ghanaian food at Bongo East in Barking will now be greeted by a Bulgarian cafe instead, while our intrepid RGL team discovered at the weekend that Royal Palace by Surrey Quays station is now a completely different Chinese restaurant called Noodle Family. 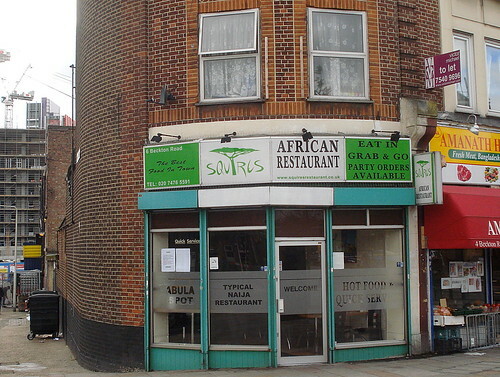 It still does decent food, though! 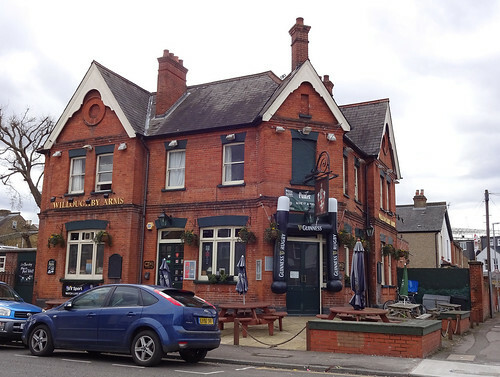 Finally, JD Wetherspoon has put The Foxley Hatch in Purley up for sale, and it will close when it's found a buyer. 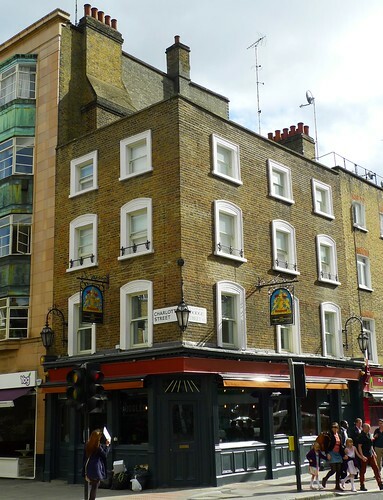 Our featured article is the tiny corner pub on Goodge Street called The Draft House, W1T 1TA. 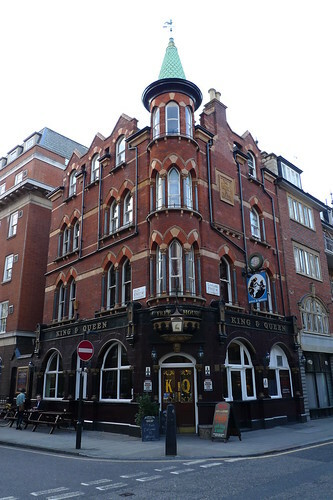 Actually the company tend to refer to it as "Draft House Charlotte" due to its position on the corner of Charlotte Street (which must be the trendier street, I guess), though it's not on the pub itself, which is part of a small chain. 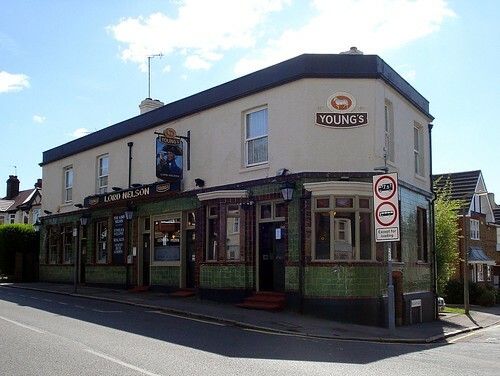 It does a very basic menu what with being tiny, but it has many lovely beers on keg, on cask and in bottle form, so unless you're visiting after-work o'clock when it gets horribly busy, it's definitely worth checking out. Mid-afternoon would be ideal, I think, or Saturday. 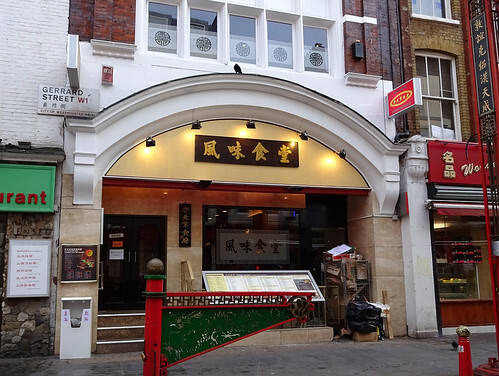 There's also one new review: Roti King at Euston Chinese, by Euston station. 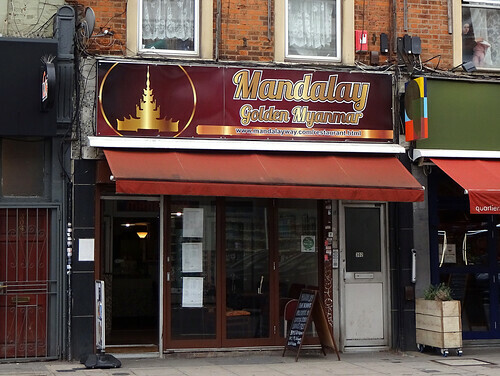 There's little to commend it in terms of flashiness -- it's down some narrow stairs, the menus have clearly been retained through many moves and outwardly it's a Chinese place, so you need to ensure you get the right menu. 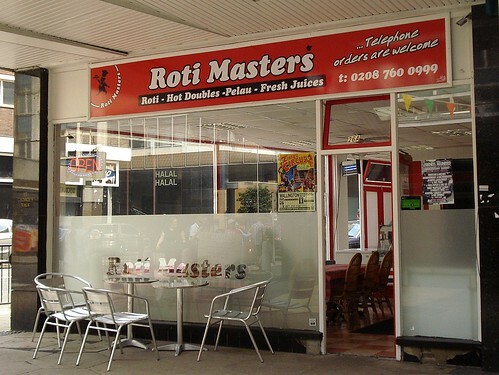 That said, the roti (which is what you come for) are excellent. 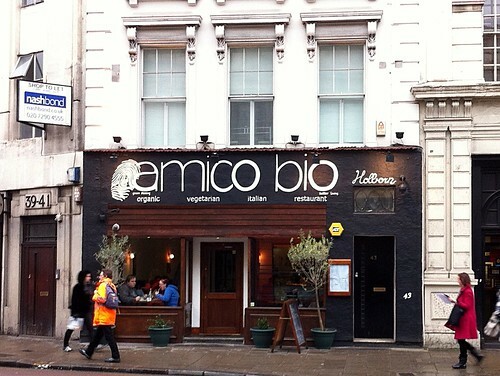 A short update this week ushers in this week's featured article, Amico Bio, WC1A 1BH, a completely vegetarian Italian restaurant in Holborn. It's also very friendly towards vegans, and has a way with popped rice. The only addition is a branch of Benito's Hat near Oxford Circus, offering more of that chain's burritos and tacos with the added twist of mambo covers of 90s dance-pop. Plus it's not so busy as their other branches. Hello! 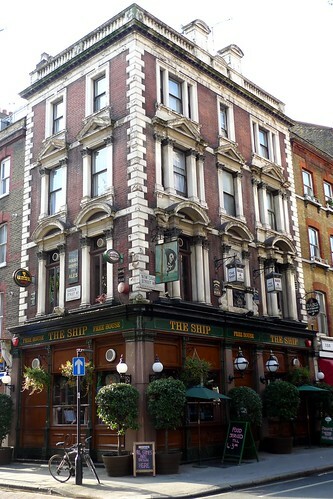 This week the featured article is The Ship, W1W 6YB, an old-fashioned pub right in the middle of that vague area generally called Fitzrovia (and coicidentally very close to where I work), which still serves excellent pints of Bass, and has a huge amount of brass decorating its walls. There's also a rarely-spotted upstairs room which is all very pleasant. 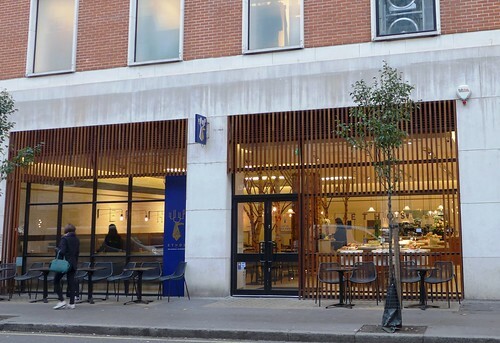 Kat has added a Scandinavian restaurant in Marylebone called Verru. They also have Estonian beer. Good for taking parents to, as well. 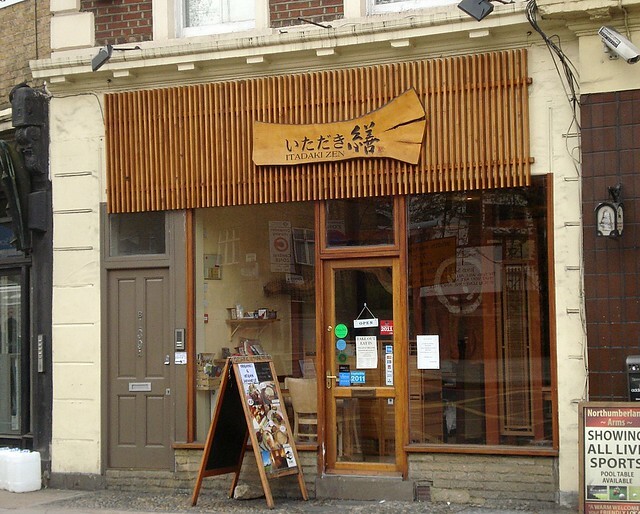 The reported permanent closure is Soho Japan, again in Fitzrovia. 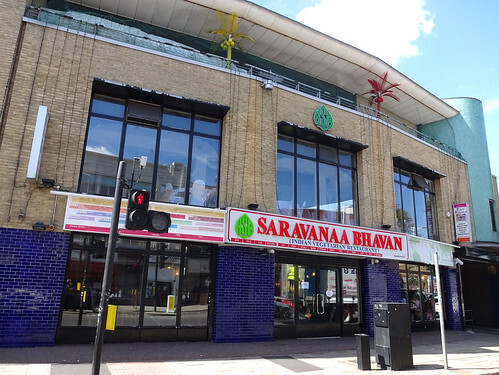 I walked past it the other day, and it was all boarded up with workmen hard at work doing something to it.